Since When Does Summer Taste Like Doughnuts? Saltwater taffy makes sense in a beach town. Snow cones and popsicles also seem like great summer treats. 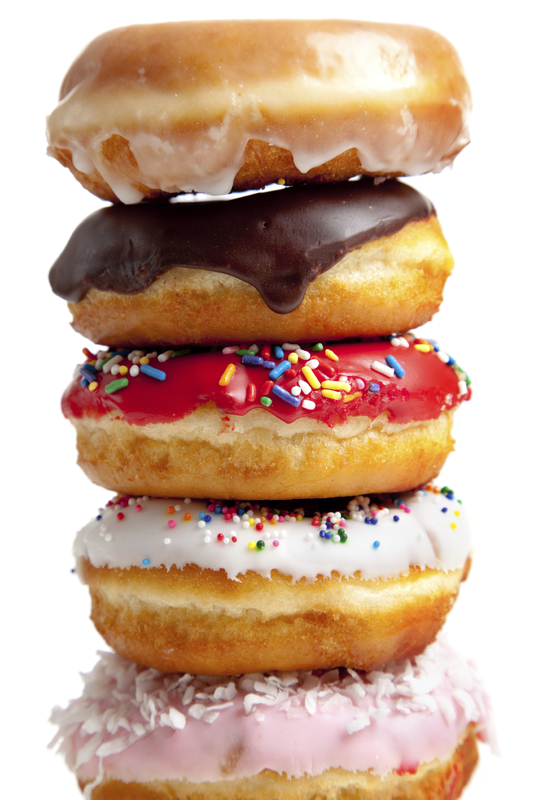 So commentator Bonny Wolf is wondering why the mainstay of so many beach and summer resort towns is the doughnut shop. We're searching for inventive summer recipes and seasonal twists on the old stand-bys. Since When Does Summer Taste Like Doughnuts? I get saltwater taffy. You're at an ocean that is made of salt water. But doughnuts? I'm clearly missing something, because many summer communities have doughnut shops, often open just for the season. Critical summer doughnut mass seems to be concentrated in the north and east — maybe because it's always summer in California, where they have their own different doughnut culture. The summer shops usually are simple shacks with awnings and screen windows, no inside seating and a picnic table outside in the hot sun. And each one has the world's best doughnuts. In Grand Marais, Minn., near the entrance to the Boundary Waters Canoe Area, there's a place that even changed its name from the Grand Marais Donut Shop to World's Best Donuts. Like many others, World's Best is a family business — fourth generation in this case. When they opened in 1969, they used a tackle box under the counter as a cash register. The business grew and moved to a bigger building. But they're still open only in summer. Britt's in Carolina Beach, N.C., has a fanatic following. Bloggers post the day and hour for the season opening. Since 1939, doughnut eaters have lined up for Britt's only doughnut offering: glazed. No sprinkles, jam, fruit or surprising colors. Just the opposite is the Fractured Prune in Ocean City, Md., where you can get blueberry, creamsicle, lemonade and peanut butter cup doughnuts. The Downyflake in Nantucket is believed to be the only one left of a chain that started in the 1930s. For years, my friend David got up early to beat the crowds and bring home a dozen doughnuts for his family. He won a family contest by eating eight at one sitting. Much doughnut baking starts in the wee small hours of the morning, and the lines of barefoot, shorts-clad customers starts early and is always long. At the Back Door of Martha's Vineyard Gourmet Cafe and Bakery, though, people line up between 7:30 at night and 1 a.m. for doughnuts. One regular says, yes, these are the world's best doughnuts. I still don't quite get it. To me, summer is more snow cones and popsicles than doughnuts. But maybe Homer Simpson was right when he said, "Doughnuts. Is there anything they can't do?" Bonny Wolf is the author of Talking with My Mouth Full and contributing editor of NPR's Kitchen Window.